The Paterson Super System 4 with Universal Tank, including 2 auto load reels can be used to process both 35 mm film and roll film. 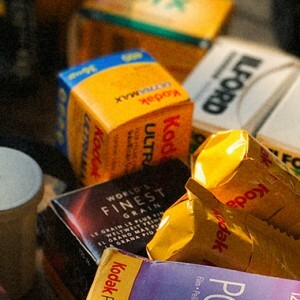 You can develop up to two 35 mm films or one 120/220 roll film at a time with this system. 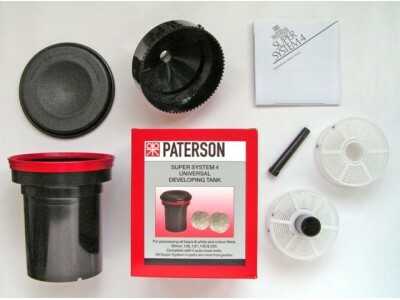 The Paterson tank system is known for being easy to use. Loading, filling, emptying and cleaning is child’s play. The Universal Tank and the film reels, which can be adjusted to fit the width of the film, make it possible to process both 35 mm films and roll films with this system.